Paul Weller has threatened to break Noel Gallagher's legs if he reforms Oasis. Noel previously revealed his close pal told him their friendship would be over and he'd probably "put his windows through" if he reunites the super-group with his brother Liam Gallagher following their split in August 2009. Weller, 57, has now admitted he told Noel in no uncertain terms what he thought about the rumoured plans and what he'd do to him if it went ahead. He told The Daily Beast: "I know it went around that I said I'd break Noel Gallagher's legs or whatever if he even considered reforming Oasis, but it's true. It's unseemly. I have no interest in it and I honestly have no idea why anyone would. For me it's always about moving forward." The musician is also adamant his revered former group The Jam will never get back together. When quizzed whether he'd ever perform with his ex-bandmates Rick Buckler and Bruce Foxton again, Weller replied: "Not a chance, mate." 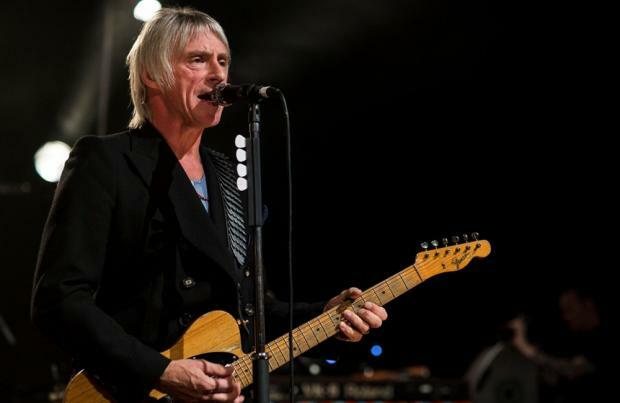 Weller also discussed his musical future following the recent release of his 12th solo LP, the critically acclaimed 'Saturns Pattern', and insists he wants to keep experimenting and changing his sound. He said: "I don't know where I'm going to go. I never really know where I'm going to go or where my music will take me, really. But I'm always trying to find different ways of doing things, just to keep it interesting. I think the really important thing is just to keep an open mind about all of it. There isn't any set way to making music or writing. It's just whatever's in the air at the time. He added: "The older you get, the more important it is to stay open-minded, I think, and not look at it as a fixed way of doing things. It's whatever works, man. But I love doing it."